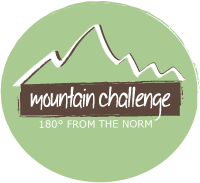 The Mountain Challenge Fellowship is awarded to a First-Year student leader who is interested in developing leadership skills while taking part in one of the South’s premier outdoor adventure programs. Interested students must have a minimum combined 23+ ACT or 1060+ SAT (critical reading & math) score and minimum 3.0 grade point average. This fellowship includes an annual award of $24,000, which will replace the student’s MC Academic scholarship. To apply, visit the Maryville College website by clicking here.